In 1969, a new performing arts center came on the scene in the U.S.
At the time, New York Times critic Donal Henahan described the Krannert Center for Performing Arts in Urbana, Illinois, as "one of the most ingeniously worked out art complexes anywhere." This weekend, the Krannert Center for the Performing Arts in Urbana, Illinois, celebrates 50 years of bringing music, theater and dance to a part of the country where many are surprised to find it. 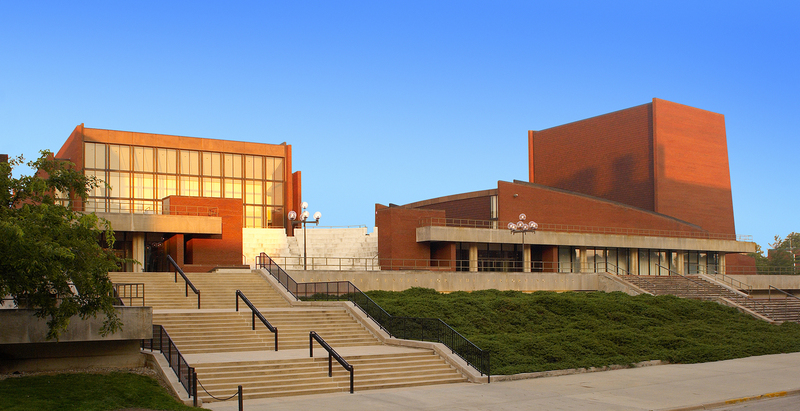 The Krannert Center is a massive, reddish-brown brick building on the campus of the University of Illinois in Urbana-Champaign. The building itself is oddly shaped because it houses four different theaters, each with a different height and structure uniquely suited to the purposes they serve. The acoustics at the Foellinger Great Hall are so good that, for years, the entire Chicago Symphony Orchestra drove several hours through the cornfields of central Illinois to record pieces, such as the Mahler Symphony No. 7, which won a Grammy Award for best classical performance in 1972. Krannert Center Director Mike Ross says the Great Hall is masterfully designed, with a hung ceiling structure that allows the sound to move up and over and resonate within the space. So it's ideal for symphonies and chamber music. "We repeatedly hear that this is the finest acoustic in America, and competes very favorably elsewhere around the globe," Ross says. Does that mean there's not a single bad seat in the Great Hall? "Well, we certainly like to say that," Ross says. The Festival Theatre at Krannert has a large, traditional fly tower, which stagehands use to literally "fly" scenery or people onto the stage and introduce other special effects. In the Colwell Playhouse, the human voice carries remarkably well, which makes it ideal for spoken-word performances. And the Studio Theatre serves as a smaller, more intimate "black box" space, where student and professional artists can experiment with different approaches. The entire 9-acre Krannert facility was designed by architect Max Abramovitz, known for his work on the David Geffen concert hall at the Lincoln Center in New York, among other famous buildings. Ross says ever since Krannert opened in 1969, people have been surprised to find a performing arts center of this caliber in a city a fraction the size of Chicago. "It caught the attention of the cultural elites on both coasts and elsewhere, the surprise factor of having the most comprehensive and beautifully designed performing arts complex to come into being, coming into being right here in the heartland," he says. John Frayne, classical music critic for the News-Gazette in Champaign and host of a classical music radio program for Illinois Public Media, first came to central Illinois in 1965. He says back then, he was dismayed to find a dearth of professional recital halls. "The pickings were slim and the landscape for first-rate performances was pretty dim," Frayne says. 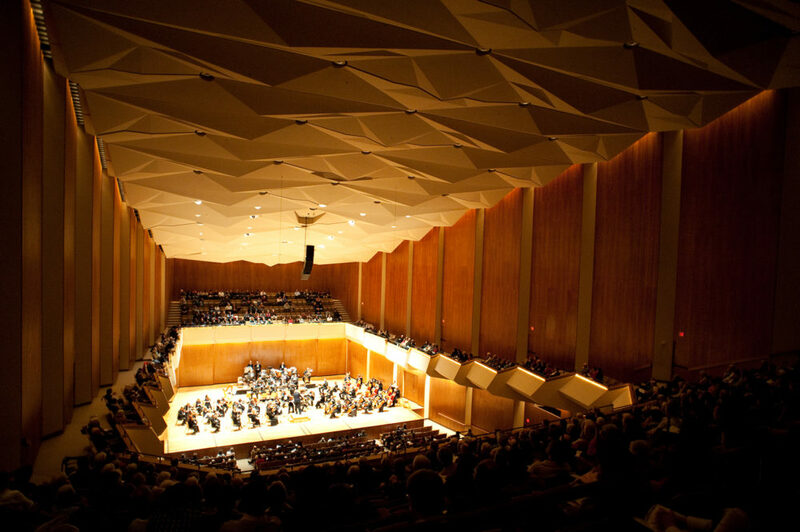 "And then along came the Krannert Center, and so, an explosion of opportunity for visiting symphony orchestras to play in the Foellinger Great Hall." What Mike Ross means by "comprehensive design" becomes more clear when one ventures down from the massive lobby that connects all four theaters on the top floor to see what's down below. The lower levels house rehearsal spaces with the same footprint as each of the performance halls. In production shops, student artists work alongside professionals to create props, costumes and sets for upcoming performances. Some are student productions, while others are commissioned works with artists from around the globe. "It caught the attention of the cultural elites on both coasts and elsewhere." "I'm often fond of referring to Krannert Center as a blending of classroom, laboratory and public square," Ross says. Longtime Chicago arts critic Hedy Weiss says she's impressed by the extremely high level of artists who come to perform at the Krannert Center. She says while the arts have long been centralized in big cities, artistic communities have developed more regionally in recent decades — and the Krannert Center at the University of Illinois in Urbana-Champaign is part of that trend. "So the school then becomes something that operates beyond its student body," says Weiss, who works for Chicago's public TV station WTTW. "It creates a community that connects the larger community with the university. And that also, I think, opens up opportunities that people living there might not have had ordinarily." Ross says opening up those kinds of opportunities for all people is at the heart of the Krannert Center's mission. When the Mark Morris Dance Group from New York came to the center in March, company members taught several free dance classes including one geared toward families and children. Over the past nearly four decades, Krannert has brought in hundreds of thousands of public school children from across central Illinois to see performances Ross says most small-town kids wouldn't otherwise get a chance to see. "The stories that we hear from people who were first touched by those experiences when they were kids, they're now bringing their own kids [and] the impact of that, over time, just can't be overestimated, I believe," Ross says. The Krannert Center also works to attract more diverse audiences by bringing in artists that push the bounds of the kind of art most people might expect to find at a place like Krannert, Ross says. The biennial ELLNORA guitar festival boasts both local guitarists and bigger names, playing a wide variety of musical traditions. Looking ahead to the next 50 years, Ross says the Krannert Center will continue to work to make the arts accessible to all. "It's more important than ever for Krannert Center to do everything it can to get people together and find renewed hope and strength through the experience of music, theater, dance and all the other art forms as well," he says. Christine Herman (@CTHerman) is a reporter for Illinois Public Media and a contributor to Side Effects Public Media. 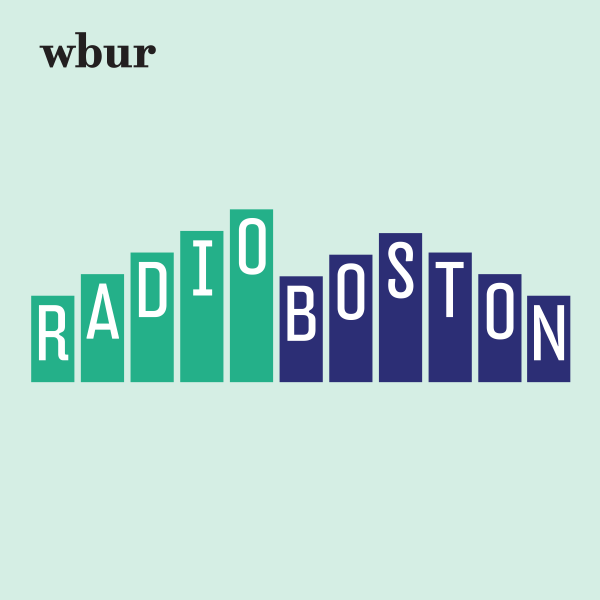 This segment aired on April 10, 2019.